Congratulations on your upcoming wedding and thank you for considering my services as a wedding minister. 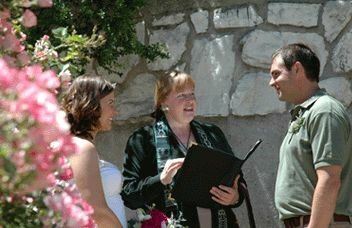 I've been creating and officiating weddings for over 20 years and I love my work! My single goal is to make your ceremony speak true to your hearts and be a source of joy and inspiration to you in the moment of your wedding, and in all the years of your marriage to come.